Background/Info: You take the former singer of Swiss dark-electro formation Sleepwalk and the German duo of No Comment and you get Nine Seconds. The band previously released two albums on Space Race Records and a few self-released EP’s. The trio is now back on track and have joined hands with Infacted to unleash this new work. Content: “Agent Provocateur” sounds harder than the previous albums. The songs are more inspired by EBM elements although still polished with electro-pop arrangements. The vocals of Oliver Spring are powerful, but clearer than during his Sleepwalk period. The album also reveals a few little surprises such as the more disco-pop driven title-song and a few cuts moving into reverie. + + + : “Agent Provocateur” reveals a renewed sound for Nine Seconds. The band seems like having inspired by harder electro influences and particularly by EBM. 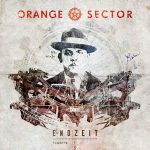 The songs are well-crafted and reveal some complexity, but the final result remains pretty accessible. I like most of the bass lines and also noticed a few cool industrial-like sound arrangements. The vocals perfectly fit with the harder song approach. – – – : Globally speaking this album took me by surprise and I really like this new approach. The only element I’m (still) missing maybe is a more melodic touch during the choruses. 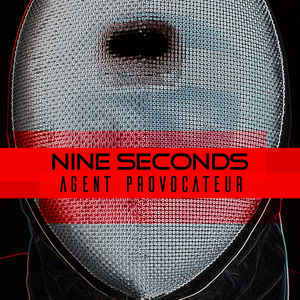 Conclusion: Nine Seconds was just an interesting band so far, but “Agent Provocateur” will definitely increase the band’s popularity. This is a work that will appeal to lovers of EBM and electro-pop music. 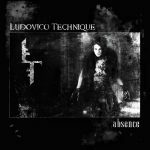 Best songs: “Plastic Fantastic”, “Agent Provocateur”, “Somnambulist”, “Borderland – 3rd Chapter”, “Lost Love – Part 1”.